Portrait of Caterina Cornaro, Queen of Cyprus, c. 1500, by Gentile Bellini. In a new series, we look at under acknowledged women through the ages. The life of Caterina Cornaro could easily be the plot of a novel or TV drama. One of the most significant woman of Venice’s golden age, Cornaro (1454-1510) was an important figure in Renaissance politics, diplomacy and arts. She reigned as the queen of Cyprus for 16 years under immense pressure. Portrait of Caterina, 1494-1495, by Albrecht Dürer. As a patron of the arts, she was painted by greats such as Dürer, Titian, Bellini and Giorgione. Yet today she is relatively little known outside of Venice and Cyprus. Caterina was the last monarch of the Kingdom of Cyprus between 1474 and 1489. Her tragic reign saw the Mediterranean island transfer from the hands of the Lusignan dynasty who had dominated the island since the Crusades, to the Republic of Venice, one of the clearest signs of the mercantile nation-state flexing its imperial muscle. This significant event took place against the backdrop of interference from Venice’s rival, Genoa, and the rise of the Ottoman Empire in the east. Despite the complex political intrigue, Caterina became a much-admired figure in contemporary European society. Still, separating the real Caterina from the romanticised version of her can be a challenge. Caterina was born in 1454, into one of the most noble and influential Venetian families. (It had produced four Doges, the senior-most elected official of the Republic.) She grew up in the family palace on the Grand Canal. Amongst the family’s many financial interests were rich sugar plantations on Cyprus. They developed close relations with the Lusignan family who had reigned over Cyprus since 1192. After a period of instability, James II became King of Cyprus in 1468 and chose Caterina as his wife. The marital bond was supported by Venice: commercial rights on the island were now secured for Venetian interests. She was presented with a dowry of 100,000 ducats; a not inconsiderable sum of gold and silver coinage. She and James married by proxy in St Mark’s Cathedral on 30 July 1468 when Caterina was 14-years-old. She set sail for Cyprus in 1472 to finally meet her husband. Caterina arrived and married James in person at the Cypriot harbour city of Famagusta. James, however, died a mere ten months after the two met, leaving the heavily pregnant queen consort to become regent to her newborn son James III. Tragedy struck the young queen again on 26 August 1474 when her son and last legitimate heir to the Lusignan line died. The child’s passing left Caterina as queen regnant, a role she would hold for 16 years. Rumours spread that James II had been poisoned by the queen’s relatives. Thrust into a position of power and prestige through the title, Caterina was immediately the centre of various intrigues within the court. She survived conspiracies from within to overthrow her, and pressure from Naples and the Papal state. It was Venice that exerted the greatest threat to Caterina. Control of Cyprus would consolidate the Republic’s influence over the entire Mediterranean, so they removed many of the queen’s trusted advisers and replaced them with commissioners and counsellors influencing decision making. While it is easy to portray her as a victim of Venetian manipulation, for years she faced down considerable pressure by the Republic to surrender the throne. Hans Makart, Venice pays tribute to Caterina Cornaro, oil on canvas, 1872-3.
on 15 February 1489 the queen exited from Nicosia for Famagusta to leave … she went on horseback wearing a black silken cloak, with all the ladies and the knights in her company …. Her eyes, moreover did not cease to shed tears throughout the procession. The whole population was bewailing. The reality was more complex. Cyprus was locked into a feudal system which was retained by the Venetians; for most Cypriots life would not change with their queen’s exile and the collapse of the monarchy. Map of Nicosia in Cyprus, created in 1597 by the Venetian Giacomo Franco (1550-1620) for his book Viaggio da Venetia a Constantinopoli per Mare. The Venetian influence on Cyprus after Caterina’s fall, including the fortification of Nicosia, was profound. The pageantry of the fleet carrying the exiled Queen home was played as a brilliant piece of propaganda by both the Doge and by the former Queen. Her disembarkation in Venice became a common scene in contemporary painting. On return to Italy, Caterina was granted for life the fiefdom of Asolo, a town in the Veneto region of northern Italy, in 1489. Under Caterina, it became a flourishing court for Late Renaissance art and learning. Painters such as Gentile Bellini and poet Andrea Navagero were welcomed. The reputation of the Queen’s court soon spread, particularly after humanist Cardinal Pietro Bembo used it as the setting for his famed dialogues on platonic love, Gli Asolani. There is some debate about who really spent time in Asolo, leading to one historian to describe the “mirage of Asolo”. Whatever the true nature of the court; the image of the cultured Queen in exile was manipulated by Caterina. She became a standard figure of portraitists. In later life, and in even in death, Cornaro had far greater control than she ever did during her reign. Castello della Regina Cornaro in Asolo. In 1510 she died in Venice. The crowds wanting to participate in the funeral of Caterina were so large that a bridge of boats was constructed to allow greater pedestrian movement. She was buried in the church of San Salvador near the Rialto Bridge. Death was not the end of Caterina’s story. Even centuries later she continued to influence the arts. The audience hall of Caterina’s castle at Asolo was converted to a theatre in 1798; the theatre itself was later purchased by the John Ringling Museum of Art where it has been reassembled in Sarasota, Florida. In 2017, a portrait of Caterina from a private collection underwent conservation and was exhibited in the Leventis Museum in Nicosia in Cyprus for the first time. The conservation work included both art historical research and scientific analysis and confirmed a 16th century date for the portrait. Copies of original portraits of the queen continued to be made into the 18th and 19th centuries. The University of Sydney has within its art collection a large oil painting of unknown hand, but from the tradition of a lost Titian. The queen wears a black widow’s gown, a coronet and necklace. Robert Browning wrote of Asolo. The libretto based upon her life by Jules-Henri Vernoy de Saint-Georges would go onto to form the basis of five operas. A highly romanticised novel Royal Pawn of Venice: A Romance of Cyprus was published in 1911. It is time her story was once again better known. The story of the republican queen of arts. 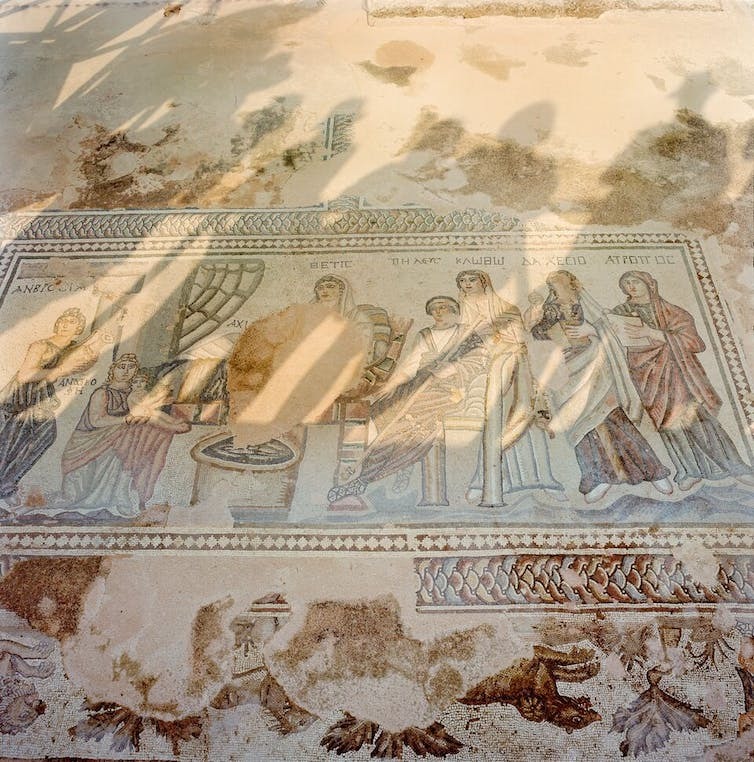 Over the past two decades Australian archaeologists have been slowly uncovering the World Heritage-listed ancient theatre site at Paphos in Cyprus. The Hellenistic-Roman period theatre was used for performance for over six centuries from around 300 BC to the late fourth century AD. There is also considerable evidence of activity on the site after the theatre was destroyed, particularly during the Crusader era. The excavation of the site, and of the architectural remains in particular, is contributing significantly to our understanding of the role of theatre in the ancient eastern Mediterranean and the development of theatre architecture to reflect contemporary performance trends in the ancient world. The site of the ancient theatre of Paphos in Cyprus, with archaeologists at work on the top of the cavea (seating) during the 2012 field season. When we return to the site this month we will take archaeologists, surveyors, architects, specialist researchers of ancient materials, students and volunteers. 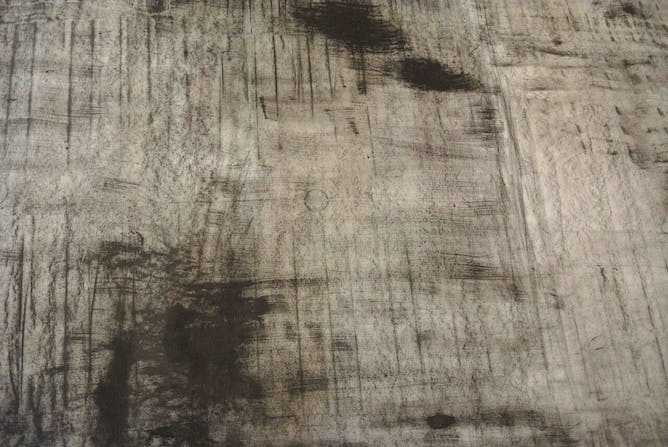 We will also take contemporary artists. As incongruous as this relationship sounds, the project is part of a wider momentum in contemporary Australian art that lauds working across disciplines. 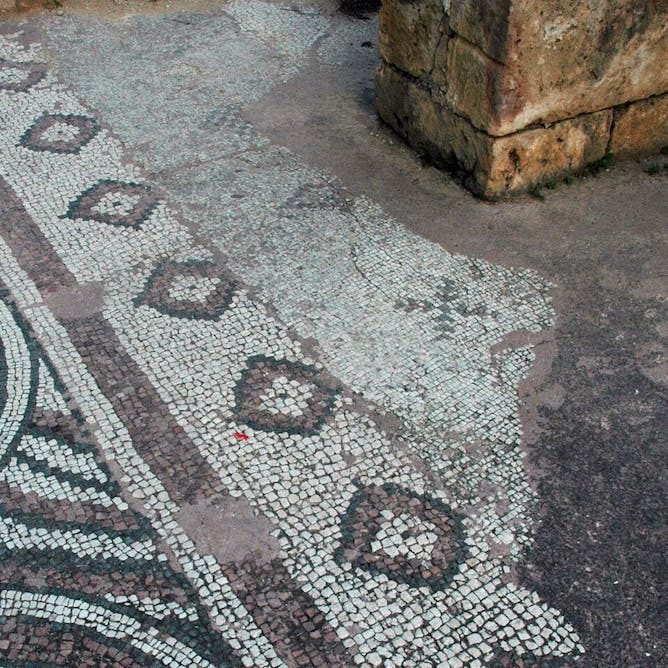 And the link between antiquity and today allows for fascinating insights to the benefit of both. At the birth of archaeology as a discipline in the 19th century, it was a common practice to take artists on expeditions. Illustrations of exotic sites and impressive archaeological finds filled journals in Europe and the United States, such as the Illustrated London News. These reports allowed an eagerly awaiting audience to participate in the rediscovery. The rediscovery of ancient artist traditions had a profound effect on art movements of the 18th and 19th century too, from Neoclassicism to French Realism. By the 20th century, however, archaeology as a discipline had become very focused on objective observation and detailed evidence-based analysis. Archaeological illustration became a form of technical drawing or scientific illustration, and the archaeological photograph developed clear standards for accurate recording. Any creative and emotive response to the past was pushed aside. Recently, however, there has been something of a renewal of this relationship between the scientist and the artist. Mark Dion in 1999 used archaeological finds from London as the basis of his work Tate Thames Dig, arranging found objects in a cabinet for display. In Australia, Ursula K. Frederick, who has a background in archaeology, explores the aesthetics of car cultures in Australia, Japan and the US. Izabela Pluta’s photographs explore ruin and place. 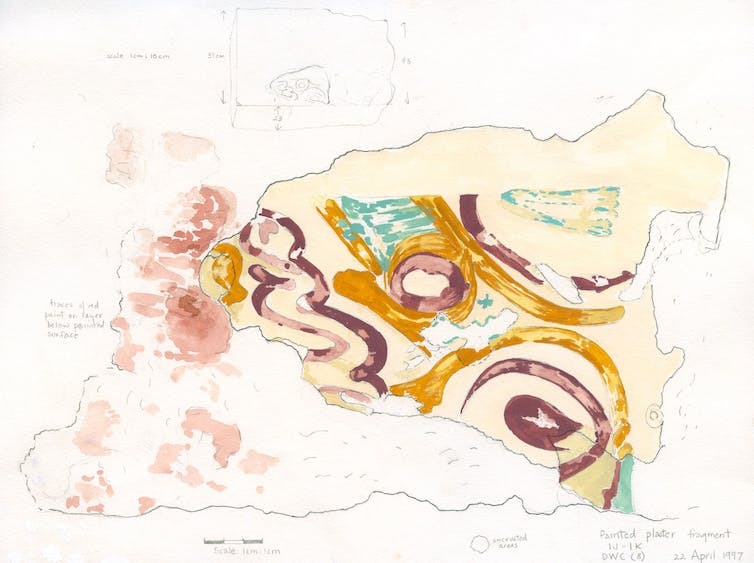 The responses of artists working in Paphos are often compelling, enabling ways of thinking that archaeologists had not previously considered. Media artist Brogan Bunt, for example, speaks of the irony of ephemeral digital platforms that cause what was new technology in 2006 to be unusable by 2017. 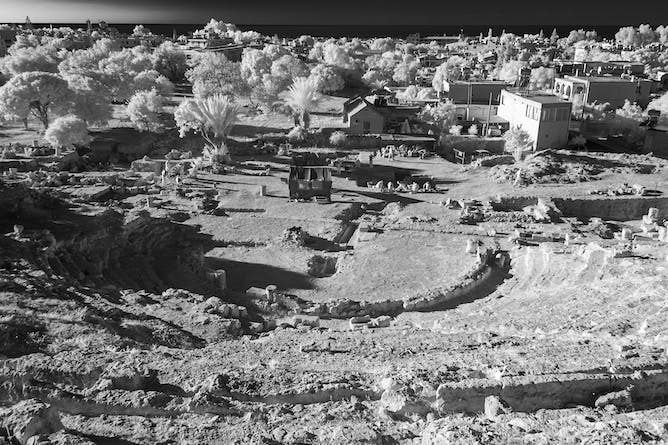 For him, the ancient theatre site has maintained its identity for millennia, while digital virtual heritage is far more fragile than the places it sets out to document and preserve. The following are works from the exhibition Travellers from Australia to be held in Paphos as part of the Pafos2017 European Capital of Culture festival. Bob Miller Paphos Theatre. Infrared photograph, 2012, 40x60cm. 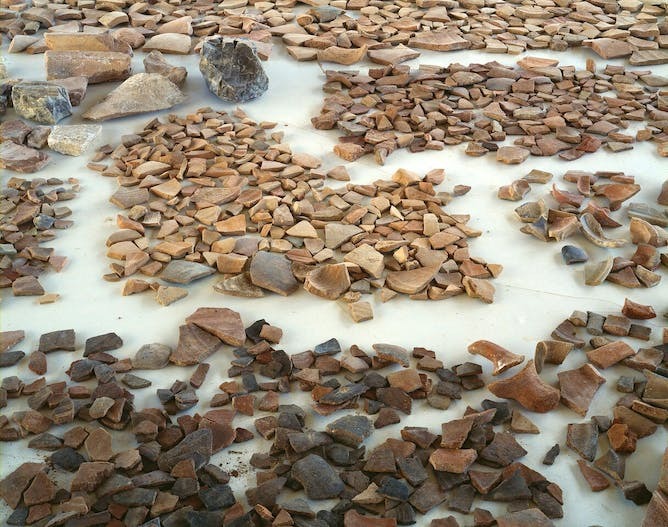 Rowan Conroy, Pottery sorting table, Apollo Hotel, Pafos theatre excavations April 2006. 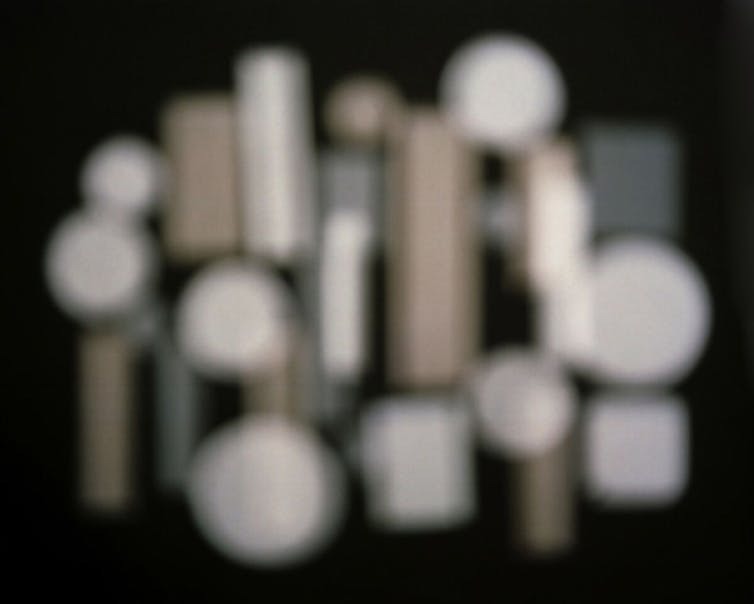 Pigment inkjet print on cotton rag (from digitised 4×5 film positive) 90x114cm. Derek Kreckler. Shadowland, 2011. Medium-format colour negative, inkjet print, 100x100cm. Lawrence Wallen, on the reconstruction of landscape (detail) 2015. Charcoal on paper drawing, 500x120cm. Jacky Redgate, Light Throw (Mirrors) No. 1, 2009. Studio photograph 127x158cm. Hannah Gee, Sgraffito 2016. Looped Animation Still. 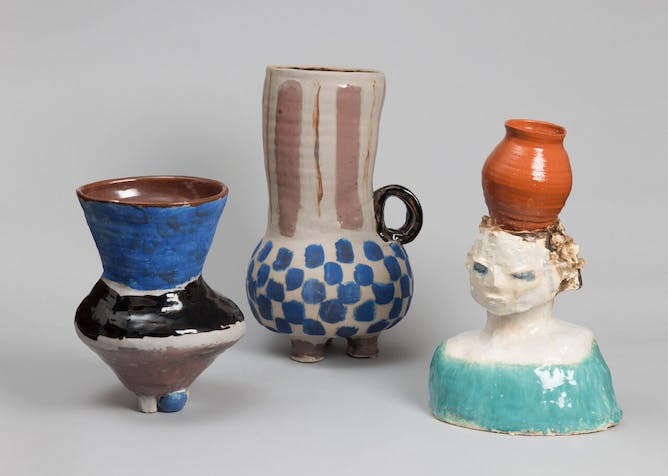 Angela Brennan (from left to right), Pot with one coloured foot, Jug with two handles, Figure, 2014. Stoneware, dimensions variable. 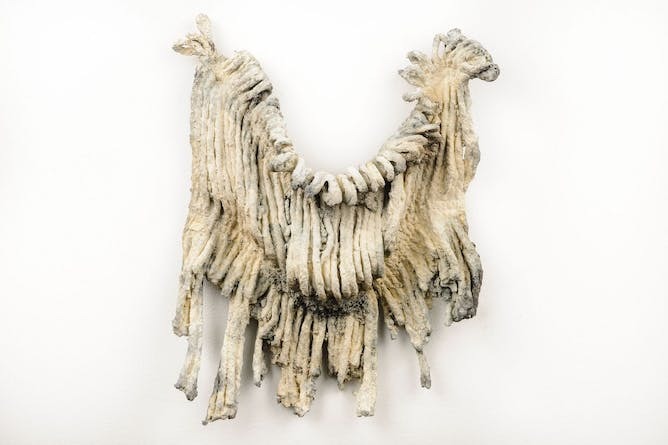 Diana Wood Conroy, Imitation marble, 1997. Gouache drawing of fresco excavated from Paphos theatre, 40x26cm. Penny Harris, Mop, 2013. Bronze, 28x26x4cm. Brogan Bunt, Chrysopolitissa, 2006. Digital image from multi-media project. 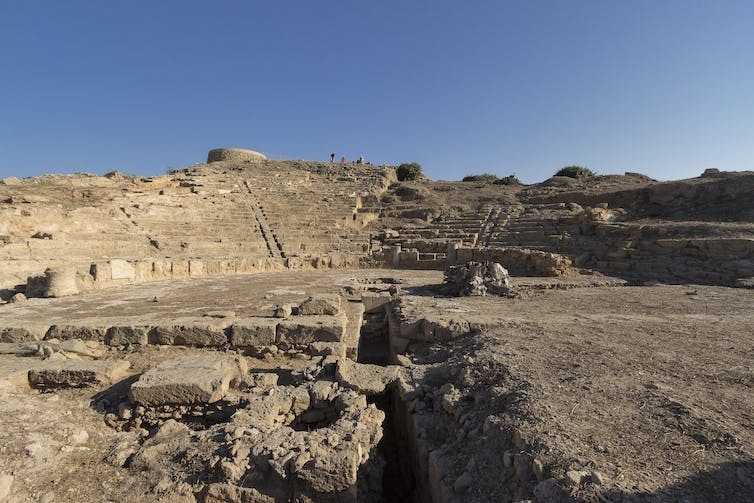 The Paphos Theatre Archaeological Project conducts its excavations and research under the auspices of the Department of Antiquities of Cyprus. The link below is to an article that reports on the status of Varosha in northern Cyprus. The region of Varosha in Famagusta has been abandoned since the Turkish invasion of Cypress in 1974.